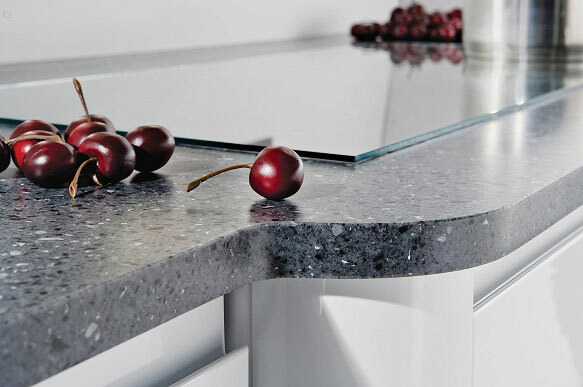 Touch a solid surface worktop and you’ll discover a silky-smooth surface with seamless, inconspicuous joins. 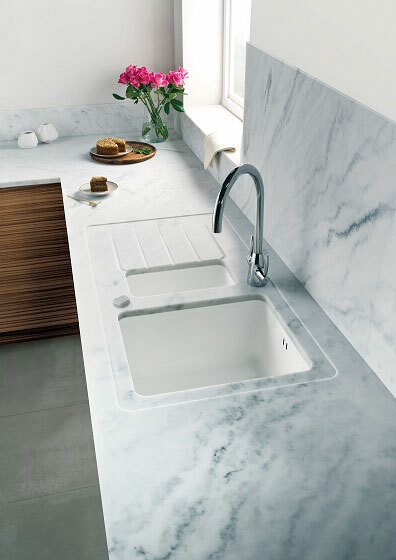 Solid surface worktops add a luxurious feel to stylish kitchens and bathrooms. Solid Surface worktops don’t have to be expensive, bespoke manufactured items that were once only found at the very top end of the Market. Thanks to Minerva® solid surfacing it is now a realistic option at all levels. Unlike Granite and Quartz, Minerva® does not contain stone and can therefore be cut and machined with standard woodworking tools. The joints can be bonded seamlessly with a colour-matched adhesive and then sanded smooth. Minerva® is ideally suited for any type of sink as it is solid throughout its 25mm thickness, and completely waterproof. It’s also great for shapes that challenge other worktops. After a period of use any minor scratches and scuffs can be simply sanded out to restore them to their new condition. 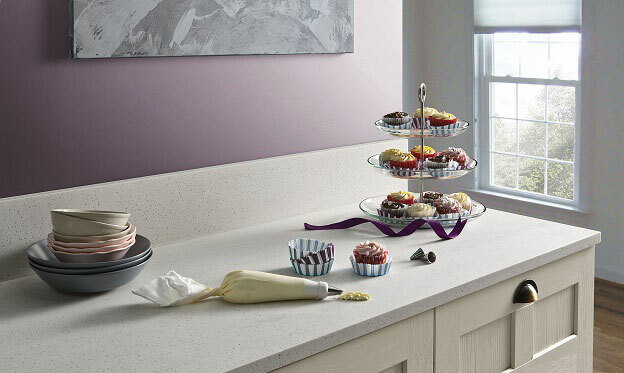 Although Minerva® is our preferred range of solid surface worktops for both kitchens and bathrooms we recognise that they may not suit your specific requirements. We are pleased to be able to offer similar products from Mirostone, Mistral and Pietra.